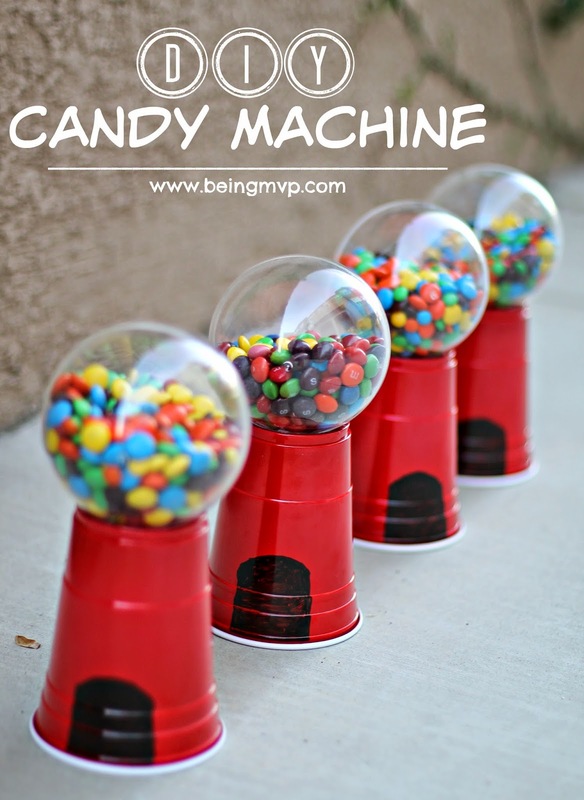 We have a ton of Halloween candy in the house so I thought it would be fun for Kenzie to make a faux candy machine. When she was around 2-3 years old, she would be enamored by the large gumball machines at the mall. 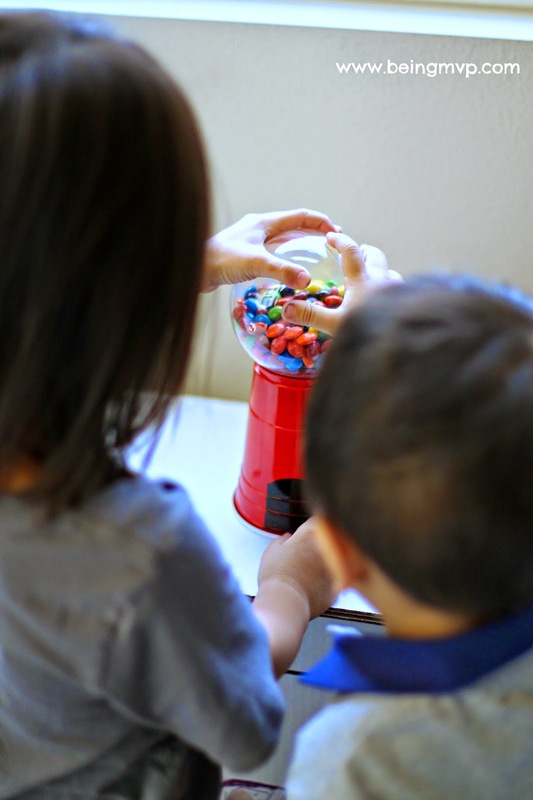 Since the kids didn't get gumballs in their baskets but rather mini bags of m&ms and skittles, a candy machine was ideal. 1. Fill ornaments with candy. 2. 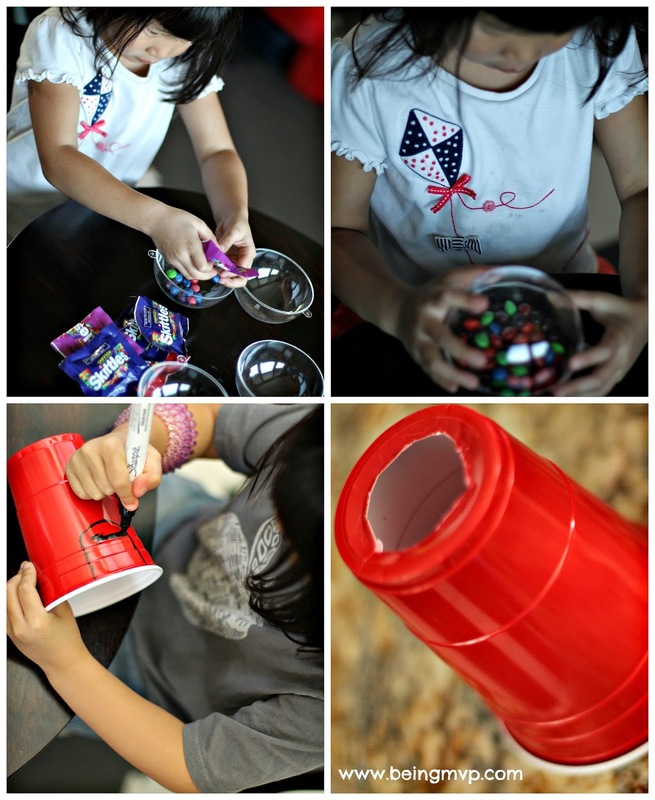 Use Sharpie and color in a candy dispenser near the lip of the cup. Kenzie sure loves her opening to be large! 3. Parents can cut open the base of the cup using the Xacto knife and/or scissors. 4. 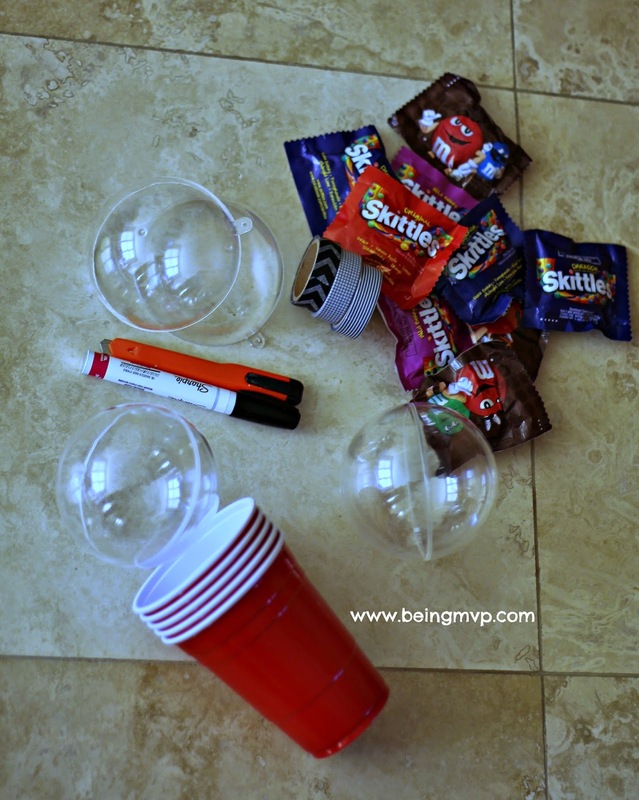 Flip cup upside down and carefully place the candy filled ornament on top of the base. 5. Enjoy your candy machine! 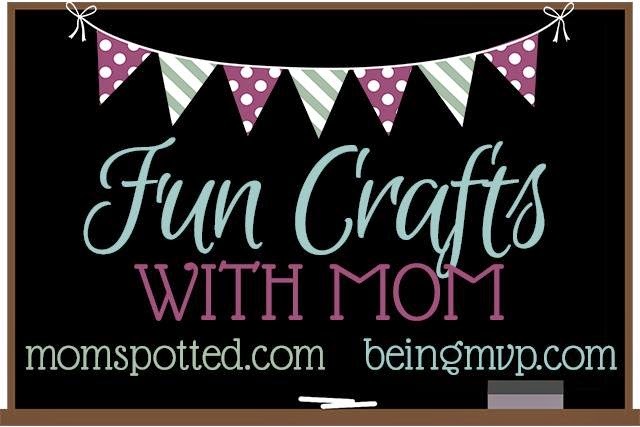 Check out the fun craft from MomSpotted this week. I hope you enjoy and link up if you have a fabulous craft you want to share! This is cute! Does the candy actually come out of it? Those are so cute! 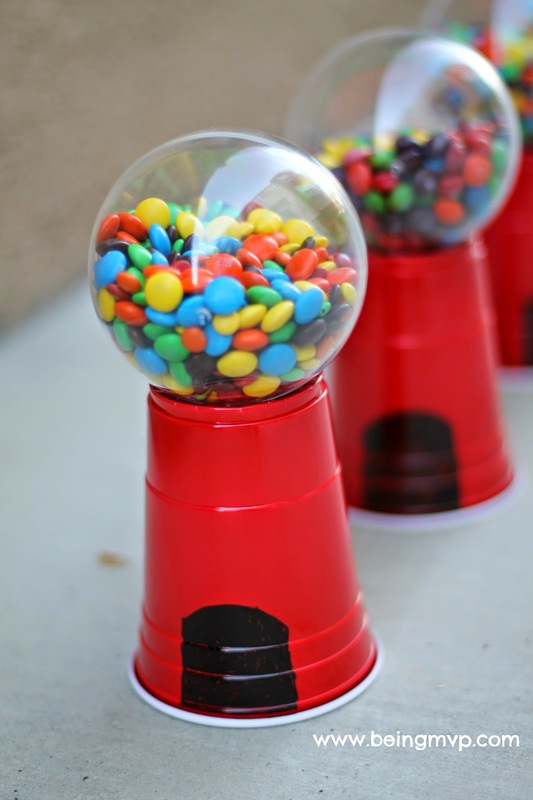 What a great decorative idea if your party is candy-themed! This is too cute. The candy wouldn't last long in my house. How cute! The kids would love these! OH these are adorable!! What cute party favors these would make! !